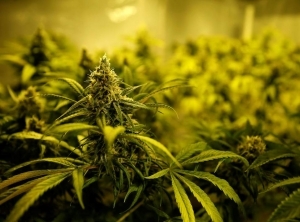 A report on Australia's fledging medicinal cannabis industry suggests it could expand to almost 200 times its current size within a decade. About seven people a day are being approved for medicinal cannabis as new research suggests the $18 million industry could be worth billions within a decade. The Therapeutic Goods Administration approved 469 applications for the drug under the Special Access Scheme between August and September. That's up from just 97 between January and February. The TGA notes it is unable to calculate patient numbers accurately and it's possible for one patient to have multiple applications approved. Regardless, the industry is expected to boom in the coming years, exciting the medicinal cannabis pharmaceutical sector, advocates and patients who have converged on Sydney this week for the CannaTech conference. Market intelligence firm Prohibition Partners will discuss its new report that suggests the nation's legal medicinal cannabis market, currently valued at $17.7 million annually, could balloon to $1.2 billion by 2024 and then $3 billion by 2028. Australia's cannabis industry could grow even more with a recreational market worth up to $8.8 billion annually in a decade if it is legalised soon, the report says. One of the first Australians to access legal cannabis oil was NSW father Simon Sweeting, who had treated his chronic spinal pain with 10 to 15 tablets a day. He said he needed to jump through all kinds of hoops, including easing the concerns of his GP, for almost a year to access legal cannabis oil. But after starting on the oil in February, he is now tablet-free. "I take the oil daily, orally in a liquid form that tastes a bit like grapeseed oil," the 47-year-old told AAP. Joshua Eades, the chief science officer at Canadian medicinal cannabis producer Tilray, acknowledges getting medical professionals on board is an integral part of allowing more patients to access legal cannabis treatments. He said the biggest misconception is that side-effects and harms from cannabis are worse than other pain relief medications such as opioids. "As with any medical product, there are side-effects but ... medical cannabis can be a much less harmful option for patients," he told AAP. The researcher also stressed the recreational and medical cannabis industries are on very separate tracks, with his employer focused on safe ways to treat epileptic seizures, PTSD and other ailments. "That's an entirely different story to recreational cannabis use," Dr Eades said. * CannaTech runs until Tuesday.